Right beside The Distillery sits Moonshine, the latest addition to the lineup of bars in Jupiter Street. 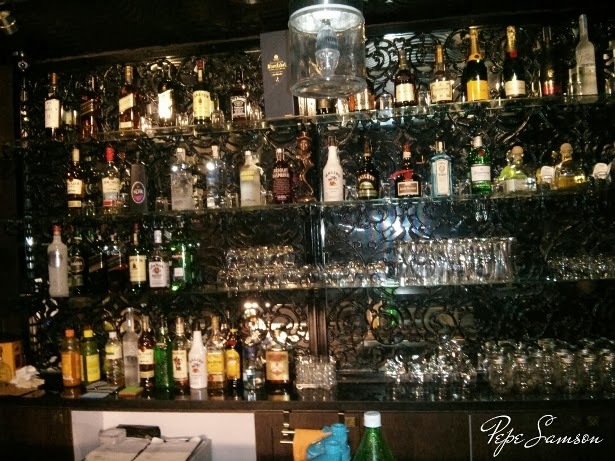 Is it “just another bar” to fill up empty spaces in Makati? We have yet to know. 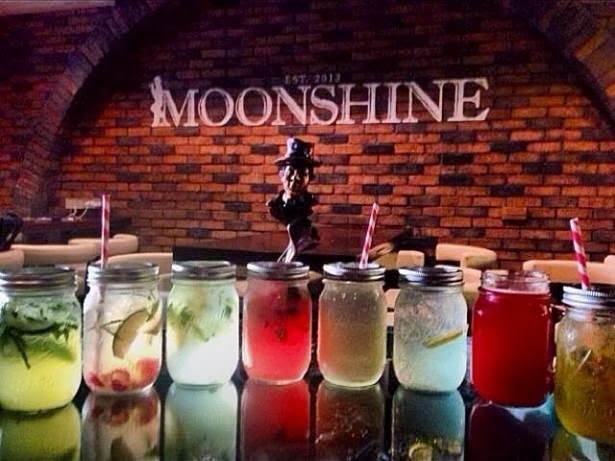 Moonshine only opened last December but it has quickly attracted a number of regulars. This new trendy spot has a timeless appeal to it—the place looks really casual from the outside, but once inside guests will surely be enticed by its elegant interiors dominated by dark brown and gold. Plush booths dominate one side of the main space, and on the opposite of this stands a long bar surrounded by stools as well as three huge barrels disguised as cocktail tables. A glass wall separates the smoking area from the main space. Boasting a dinner menu and some signature cocktails, Moonshine is ideal for yuppies who just came out of work looking for a place to loosen up. I love the fact that it’s posh but not to the point of being intimidating (read: Republiq), inviting but maintaining an air of exclusivity. Order one of their signature drinks, which come in cute jars. Not a cocktail fan? Moonshine sells liquor by the bottle, although the price point is a bit on the expensive side. A beer guzzler? 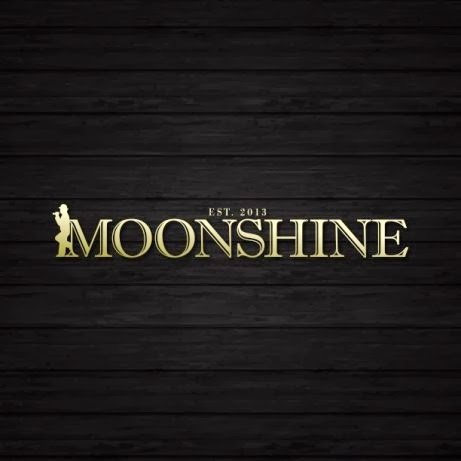 Moonshine has a variety of beers, ranging from P70 (San Miguel) to P300 (imported). Be prepared to spend around P500 for a couple of drinks and some bar chow to share, higher if you’re a glutton and alcoholic like me. Only time can tell if Moonshine will stay. 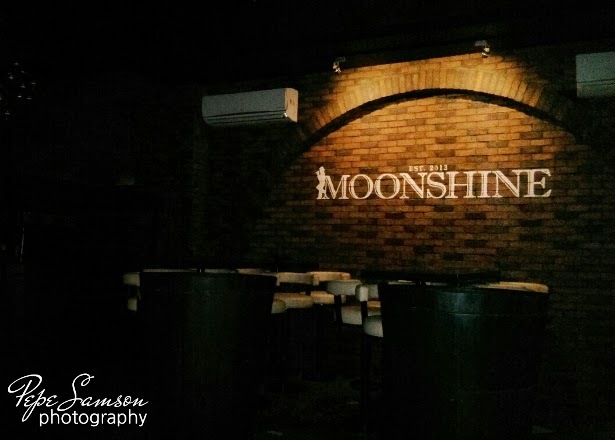 With the ever-changing preferences of diners and partygoers in terms of food, ambience, and gimmicks, Moonshine definitely should follow the trends in order to survive—if not keep on creating new ones for people to follow. 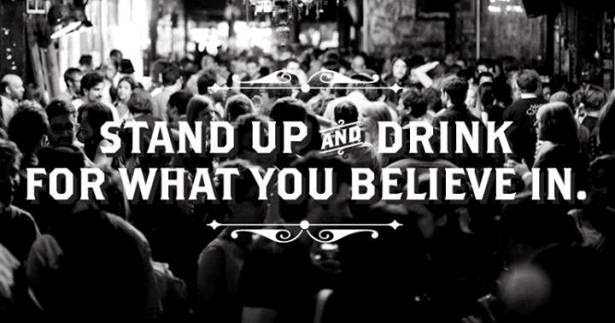 What's your favorite nightlife spot in Makati? Tell us about it in the comments section below!